It's never too early to start your Canada job search. Finding the right job in Canada is important to you if you are in the Canadian immigration process or even if you are just thinking about immigration to Canada. Additional points under the Federal Skilled Worker (Professional) Category of Canadian Immigration. An essential element for qualification under the Provincial Nomination Program (PNP). 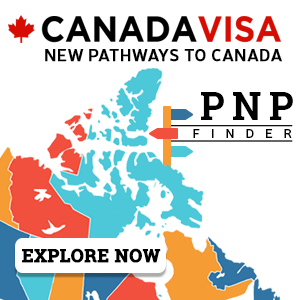 Priority processing of your application for a Canada Immigration (Permanent Resident) Visa. Quick entry to Canada on a Work Permit during the processing of your Canadian Immigration application. And most importantly, a Canadian job will put food on your table and a roof over your head. Canadavisa.com's free Job Search Tool pulls together current job postings and employer contact information from numerous Canadian government and private sector job search engines. Job search results are displayed in real-time and are constantly updated. Our clients can request that we communicate with their potential employers to explain the simplicity of a Canadian job offer in the Canadian Immigration process. Visit the rest of the Canadavisa Work in Canada zone for more information on the Canadian labour market and tips on getting the job you want in Canada.